Nothing says chic like pearls. 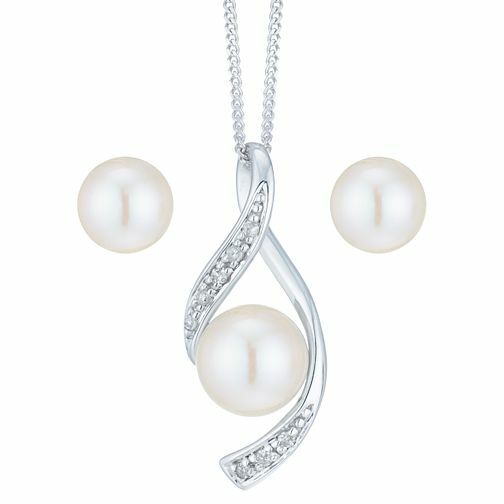 This contemporary pendant features a fresh figure 8 loop design, decorated with diamonds and a cultured fresh water pearl. The set is complimented with the all-time classic 6-6.5mm pearl stud earrings. The perfect gift for the woman in your life.